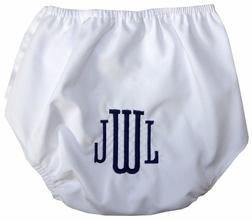 These durable little boy's monogrammed diaper covers in white are worn by little boys under diaper shirts, day gowns, or dress gowns. 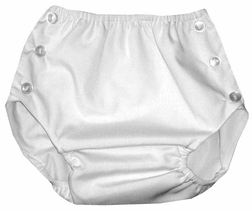 They are made with thick fabric, and are fully lined. 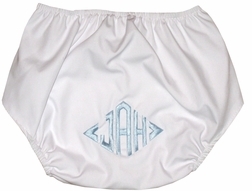 The sides fasten with three little buttons.